The SPIP S9 load cell series is automatically recognized by all the CENTOR TOUCH Star and Dual force gauges and torque gauges. 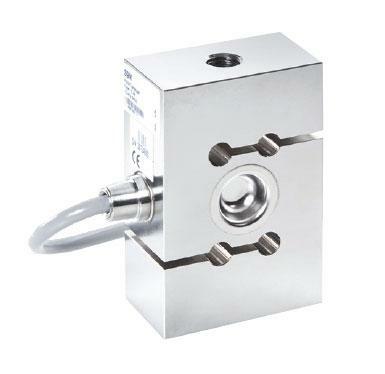 It's a high capacity tension & compression S-Block load cell, with female threads both ends and made from stainless steel. Force is applied directly via the two central internal threads. It offers high accuracy and high stiffness. This type of load cell is designed to be mounted in a multiple force applications. It can complete a set of force/torque measurements at a very reasonable price. The Centor Dual Touch is abble to read two sensors simultaneously and offers all of the functionality of an efficient force gauge. Its calculating power enables it to save values from two different sensors simultaneously and perform calculations on each channel.